The traditional sash window remains one of the best recognized and classic styles of architecture available. Many early examples of sash windows in London have been neglected over the years and have deteriorated over time. Damage including wood rot, draught problems, rattling, and general decorative disorder are common, but new owners of such properties will often want to restore the classic windows as they see through the ugly veneer. Mortice & Green are London sash window repair specialists and offer modern solutions to restore and repair sash windows, restoring the original beauty and integrity. The sash window is one of the oldest architectural designs offering both aesthetic value and functionality for all sizes, types, and ages of homes. It is often constructed from solid wood that is susceptible to decay and deterioration over time. This can lead to a lack of appeal, but can be efficiently addressed with experienced and knowledgeable professionals who are familiar with the restoration of these types of structures. The outdated design and cumbersome levers often lead to a number of operational problems over time as it becomes jammed, weights no longer work, and the structure may lead to ongoing rattling noises because of gaps in the framework. It requires the replacement of specific operational components that will aid in smoother and longer lasting functionality. This includes a clear examination of the architecture for modern and quality solutions. Refurbishing outdated windows can save a great deal on replacing the structures and assists in the maintenance of its appealing and classic design. One of the most common problems with older frames is an inability to open and close the windows without it becoming stuck. Specialists are able to introduce specific parts and fittings including the removal of internal sashes making it possible to work from inside a property. 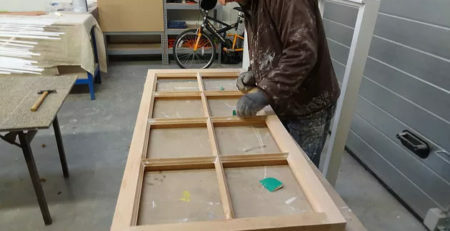 Specific techniques are available to improve the exterior and the operation of windows without losing its traditional appeal. The aim is to provide the building with energy efficiency and enhanced window performance without having to replace the entire structure. Double glazing can be applied to minimize the cold from entering the living environment as it includes multiple panes offering superior insulation. Calling on experts can aid in determining restoration methods for the enhancement of framework and structural integrity. This includes alternative methods to restore historic architecture without having to remove or replace the feature. Routine maintenance can aid in preserving its appearance and to ensure that it continues to work in a smooth and fully functional manner. Draught sealing procedures are applied to modernize these types of windows, but also to seal any gaps that may be causing problems. If these openings are not addressed, it will cause an increase in the amount of dirt, dust, and debris that will enter the property. The aim is to restore the structures without taking away from the historic appeal and the charm of the home. The benefits of relying on a professional service can aid in tending to rattling, improving longevity, decreasing noise pollution, and putting management methods in place that will aid in achieving smoother operation without compromising the integrity of such architecture. Sash windows remain a historical design that can be restored and mended for beautiful results. Professionals in the field advise on the solutions available to prevent against unnecessary replacement.